Windsor Police are investigating an assault with an SUV. Police say that on Friday, November 24th, 2017 they were called to a hospital to speak to a female victim who was struck by a vehicle after an altercation with another female. The victim told police that she attended a business in the 2600 block of Howard Avenue at approximately 3am. A male and the suspect female exited and the two females were involved in an altercation. The suspect entered her vehicle and drove into the victim, resulting in a broken leg. Investigation also revealed that all three parties were at a business in the area of Tecumseh Road East and Ford Boulevard earlier that morning. The suspect is described as a white female in her mid 20’s, with long dark brown hair, 5’10-5’11 and 160lbs. 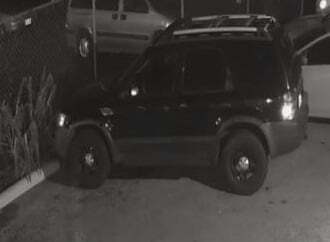 The vehicle is described as a dark SUV, possibly a Ford Escape with blacked out rims.